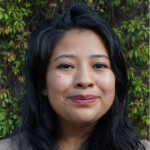 Evelyn is originally from Chimaltenango and was selected as a GOJoven Fellow when she was 23 years old. She is a graduate of the Clerk’s Office and has received diplomas in collective communication and from the GOJoven fellowship program in 2017-2018. Evelyn has experience working in communities with children, adolescents and youth on the themes of Sexual Rights and Rights, Reproductive Health, advocacy, self-esteem and contraceptive methods. Evelyn will continue giving talks and workshops on sexual and reproductive health and rights, as she aims to work in the municipality of her department in the youth office to create a friendly space for youth. 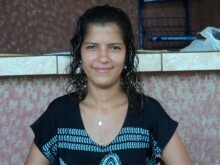 She recognizes that the training she has received through GOJoven has helped her to be a more critical and assertive person with her opinions. Posted in Guatemala 2017, Uncategorized.